"The doctors are unhappy with their working conditions and remuneration. It is sad that the issue of doctor's conditions of service and remuneration has been long-running, and government has not gone beyond lip service in attending to the issue," argued News Day in its recent editorial. "The fact that the government would rather buy luxury vehicles worth of hundreds of thousands of dollars for traditional leaders demonstrates that its priorities are all mixed up." 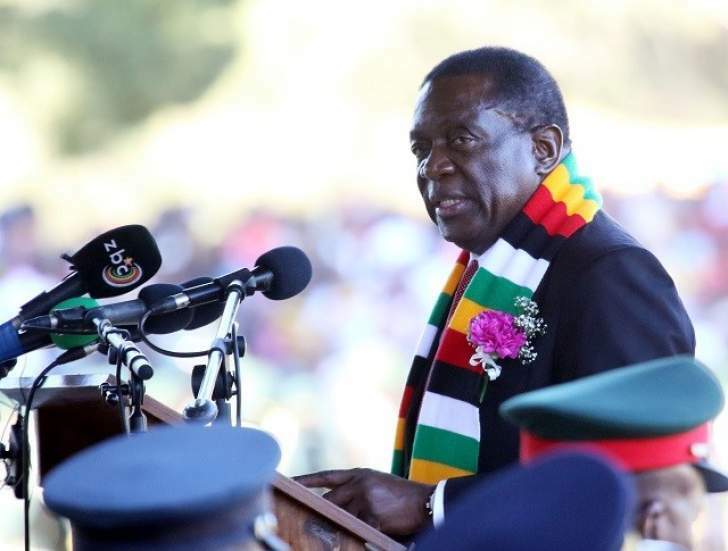 "Early this week, Mnangagwa pledged to turn around the welfare of traditional chiefs by piling benefits and a share of the $310 million set aside for devolution in the 2019 National Budget after the chiefs had presented a long list of demands at the National Chiefs Council conference in Kadoma." I agree 100% that doctors must be paid reasonable salaries, not the misery $384 a month, and that government must adequately fund the nation's health service which has all but collapsed. The failure to pay doctors, etc. becomes more glaring given the fact government has been spending large fortunes of Chiefs and other luxuries. Where I disagree with News Day is in its assertion that government "has its priorities all mixed up" in paying Chiefs and not doctors. Rewarding Chiefs is Mnangagwa's priority miles ahead of paying doctors, etc. and it is naive to pretend otherwise. Pampering the Chiefs is top priority to President Mnangagwa because it was the Chiefs, together with the other traditional leaders and Zanu PF operatives, who delivered the 60% or so rural vote for ED and Zanu PF in the recent elections. "Observers widely reported on efforts to undermine the free expression of the will of electors, through inducements, intimidation and coercion against prospective voters to try to ensure a vote in favour of the ruling party," reported the EU Election Observer Mission in its final report. "Such practices also included direct threats of violence, pressure on people to attend rallies, partisan actions by traditional leaders, collection of voter registration slips and other measures to undermine confidence in the secrecy of the vote, manipulation of food aid and agricultural programmes and other misuses of state resources." Even Zimbabwe's own government appointed body, Zimbabwe Human Rights Commission has confirmed how the rural voters were reduced to little more than medieval serfs forever beholden to the whims of the overbearing landlords, Zanu PF. Last year the Chiefs assured Mnangagwa that they would campaign for him and Zanu PF in the coming elections, just as they have always done for Mugabe. They kept their promise, as stated above, and the Kadoma conference was about Chiefs demanding their reward. If Zimbabwe had been healthy and functional democratic nation then both Mnangagwa and the Chiefs would been in serious trouble for denying the rural people their basic freedoms and rights including the right to a meaningful vote. Zimbabwe is a dictatorship and so instead of being punished for high treason the Chiefs were rewarded new trucks and Zanu PF rigged the elections to retain power. "If truth be told, these traditional leaders who only serve the purpose of perpetuating Zanu-PF's stranglehold on power should not be a priority given the challenges facing this economy and the scarcity of resources," continue the editorial. "The situation in our public health facilities is so untenable that one wonders how our political leaders are able to sleep peacefully at night — perhaps because they and their families access health service abroad where healthcare workers are well taken care of by their own governments and have no need to embark on job action." Yes, the health, economy, education, you name it, situation in Zimbabwe is untenable. The truth that MUST be told, is we have all watched the health, economy etc. all sink into the sorry state they are in today because we did not have the courage to accept reality. For the last 38 years we have pretended Zimbabwe was a healthy and functional democracy because we did not want to admit it is a corrupt and tyrannical dictatorship. After 38 years of corrupt and tyrannical Zanu PF rule and with the country up to its eyes in the man-made mess surely we must now grasp the nettle and deal with this elephant in the room - Zimbabwe is a de facto one-party dictatorship. Our challenge is to force Zanu PF to step down so we can finally implement the democratic reforms necessary for free and fair elections. We must stop the curse of rigged elections and the pariah state. As long as Zimbabwe remains a pariah state ruled by corrupt and vote rigging thugs, they will continue to pamper lawless Chiefs at the expense of a collapsing health service. We can pretend the government has its priorities mixed up and discuss what it should do until we are blue in the face; the wasteful abuse of resources will continue!